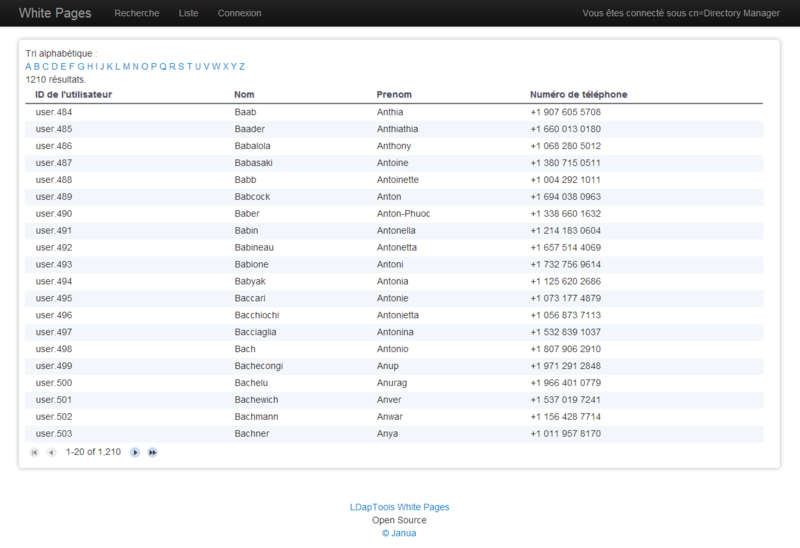 White Pages by Janua offers an highly customizable, easy to configure and deploy web interface/web app. It relies on strong Java API’s as well as a graphical framework able to understand your business rules. This way, depending on your configuration file, the GUI can automatically display or hide what you’re allowed/not allowed to. 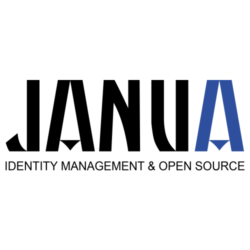 Janua White Pages was developed using GWT 2.5 UiBinder and Bootstrap technologies . 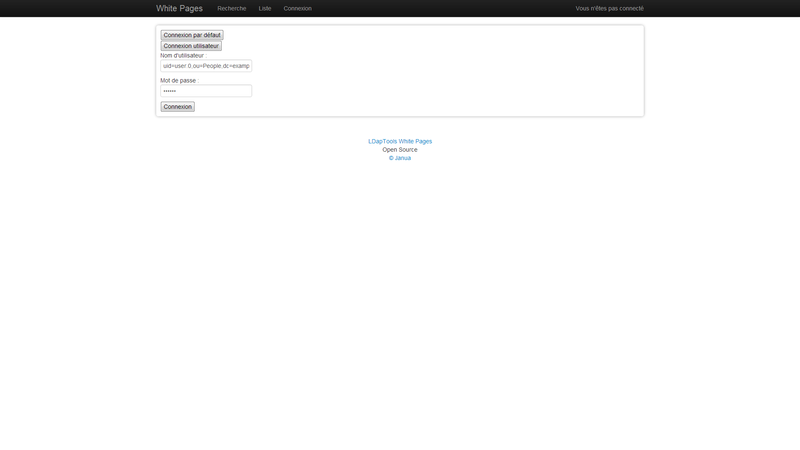 It combines ergonomy (Bootstrap + Responsive Design) with a reusable and loosely coupled architecture. 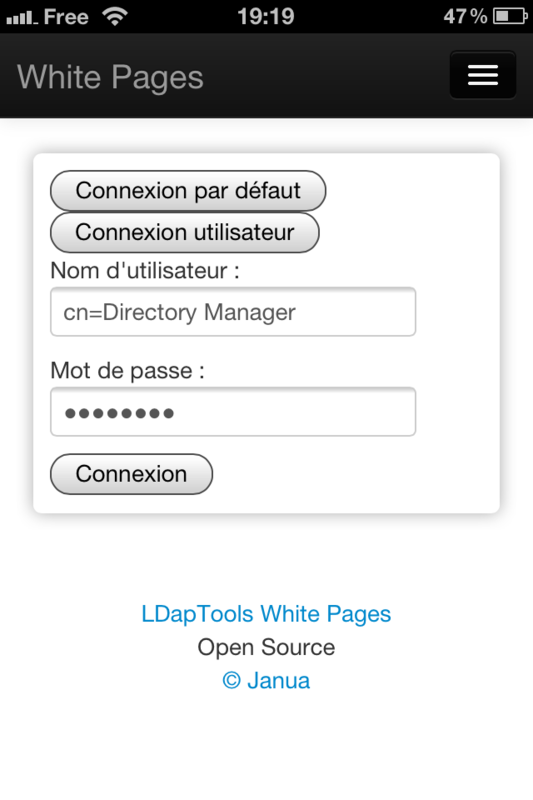 In addition, we have opened the source code under the CDDL license to the Open Source community to share our tool to the greatest number. 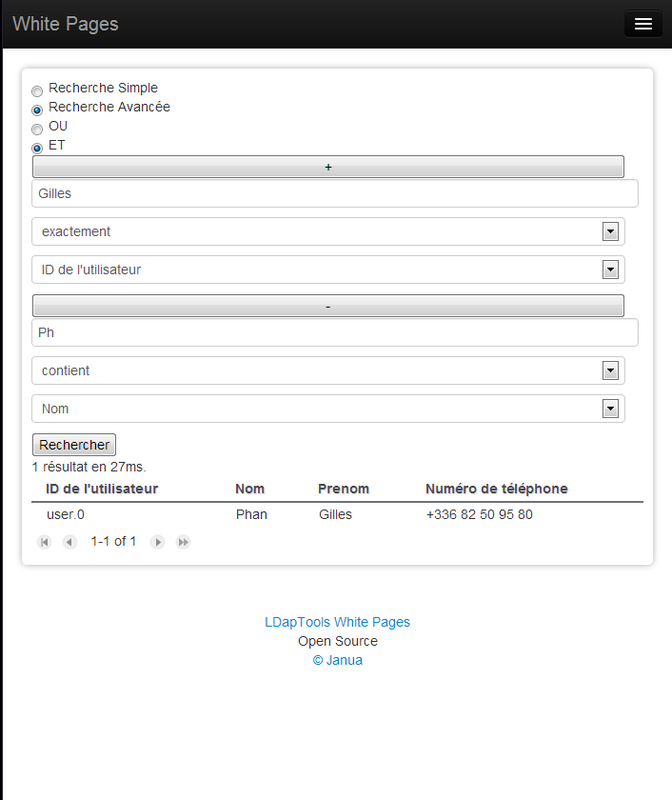 To begin with White Pages download the war file or the sources and the howto. Roadmap: this version is the first brick that lays the foundations for the future. 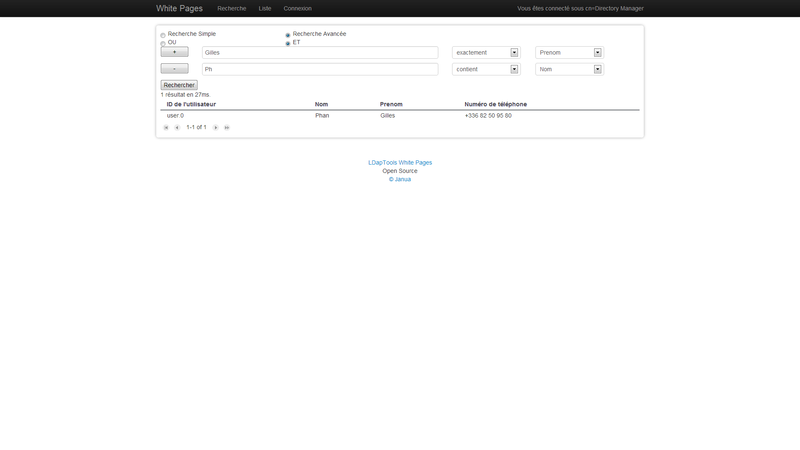 A new version is currently being developed by our team, it will add more features (such as editing passwords, viewing a person’s picture or other information stored in the directory). If you need Services and/or Support, please contact us.